Petalled rocktripe Umbilicaria polyphylla, from here. 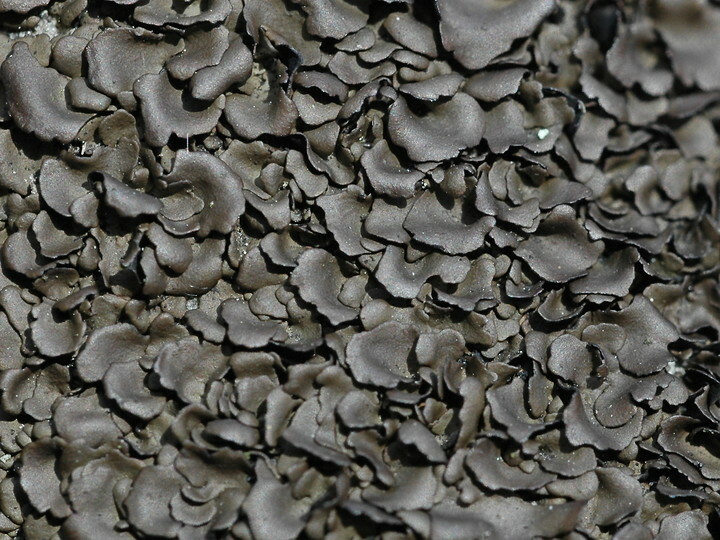 The section Glabrae of the lichen genus Umbilicaria is characterised by a lobed or sinuate-edged thallus that lacks rhizines (Frey 1933). Characters (from Frey 1933): Underside of thallus without rhizines. 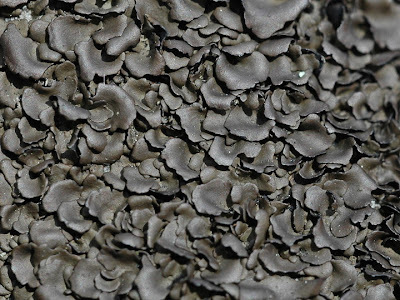 Thallus usually brown or greenish gray or brown-black above, black or reddish-gray or whitish below, edge usually somewhat roundly lobed or sinuate. Apothecia with grooved disc. Spores colourless.